The Gambia, a tiny West African nation surrounded on all its sides by Senegal is a tourist hub which boasts various delicious local dishes. Truly, the country is blessed with rich cultural cuisine. 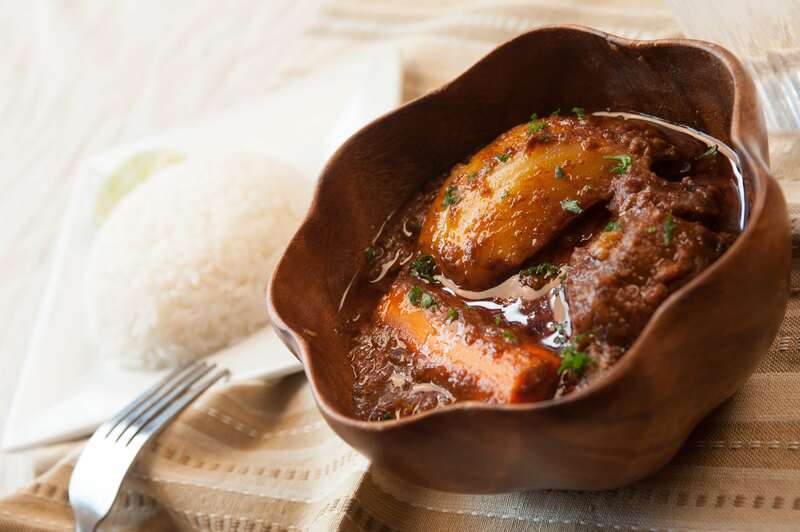 A careful look at the country’s traditional dishes shows Gambia’s conservative cultural values. Gambian food is similar to most foods eaten in Western Africa, such as pepper soup, vegetable soups, and the popular jollof rice. If you ever find yourself in The Gambia and you are in for some Gambian food (why not?) then you should have this courses on your list of must-eats! 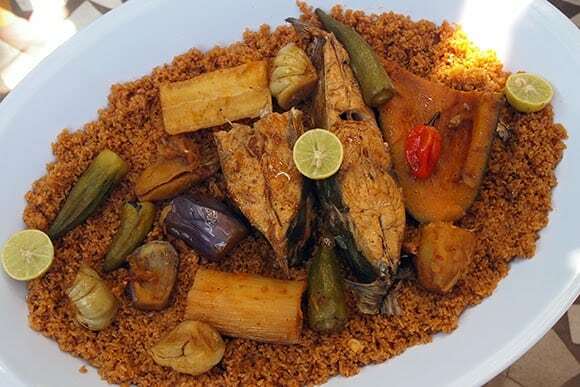 Domoda is one of the most popular dishes from the Gambia. It’s a groundnut (peanut) soup made from unsweetened peanut butter/paste. The peanut paste forms a base for the nutritious soup which might include other vegetables such as sweet potatoes, meat, and spices. It is best eaten with rice. Plasas is a vegetable soup popularly eaten in West Africa at large. It is a Gambian food which can be cooked in various ways using any preferred green vegetable, however, spinach is recommended. It can also be cooked using vegetable oil or the famous palm oil. Some versions also include the addition of ground melon seeds, ogiri (locust bean seeds) and peanut butter. Afra or Dibi is a streetside food popular in the Gambia and Senegal. It is basically grilled meat, with the meat ranging from lamb to mutton depending on your preferences. The spicy meat is usually served with a mustard sauce and baguette (french bread) on the side. Olele is a Gambian steamed bean pudding which is also known as moi moi in Nigeria. Olele can be eaten on its own or as a side course to rice dishes. It is best cooked in leaves to retain its local flavor although it can also be cooked in tin cups. 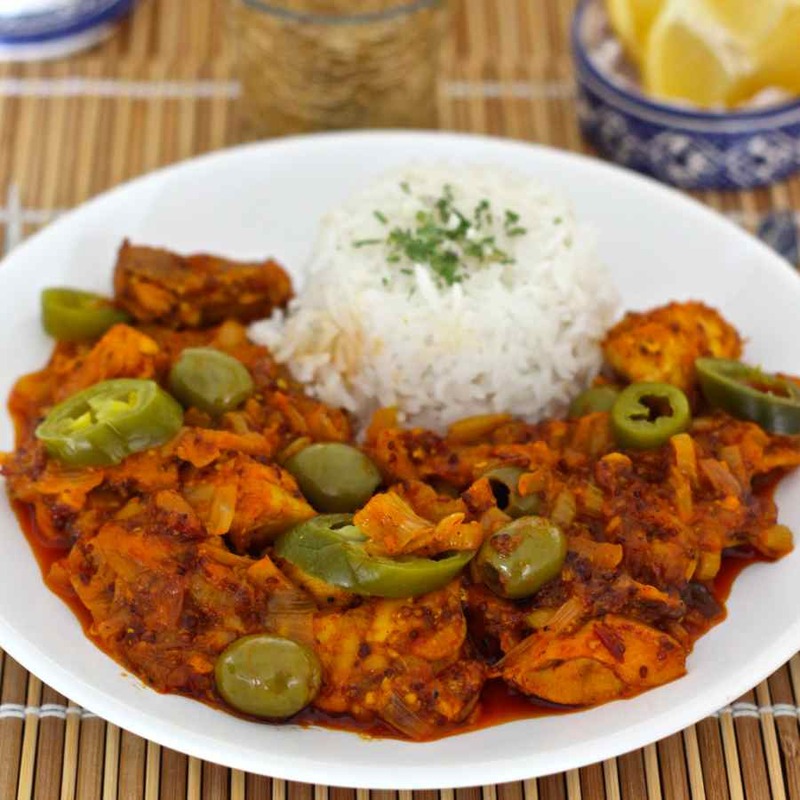 Another popular Gambian food is the Yassa which can be either chicken or fish. It is a tangy and spicy dish that makes use of lots of onions, vinegar, and lemon juice. This spicy goodness can be eaten with rice. 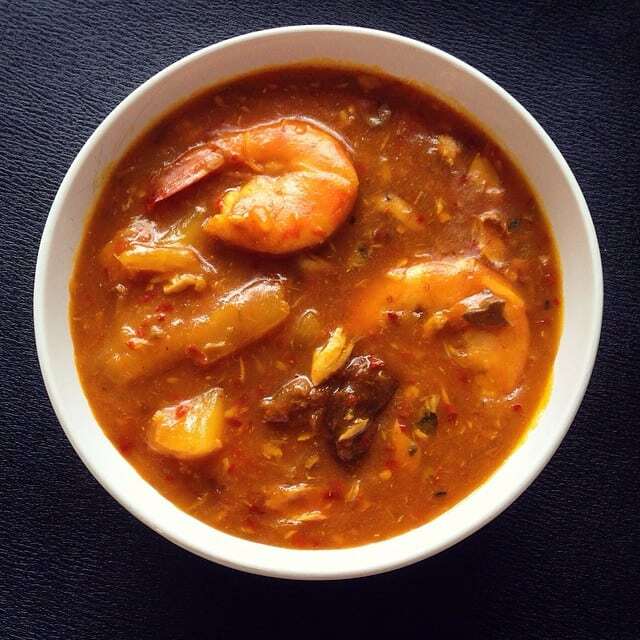 Ebbeh is the Gambian version of Gumbo, a popular dish eaten in the Caribbean and America. 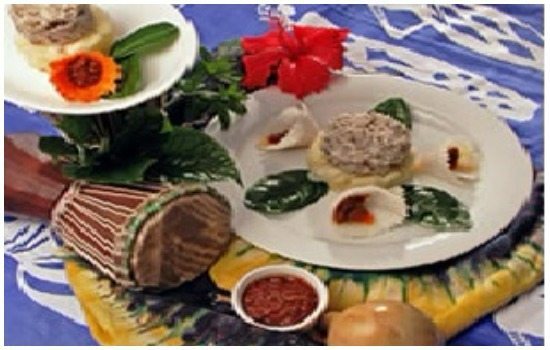 It is a stew, usually thickened with chunks of cassava tube and garnished with flaked fish. In the Gambia, jollof rice is called Benachin. This dish which originated from the Wolof people in Senegal is a west African food staple that is even more embraced in Nigeria and Ghana. Chakery is a pudding made from couscous. 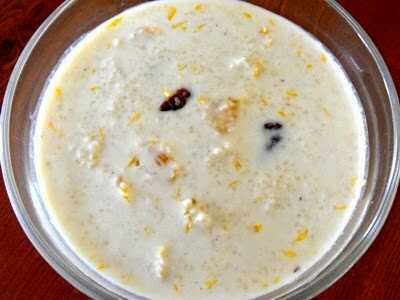 It’s a sweet and creamy dish that could pass for a dessert and is best served cold. Chakery could include the addition of pineapples and berries or nuts. Think of it as Gambian oats– creamy oats. 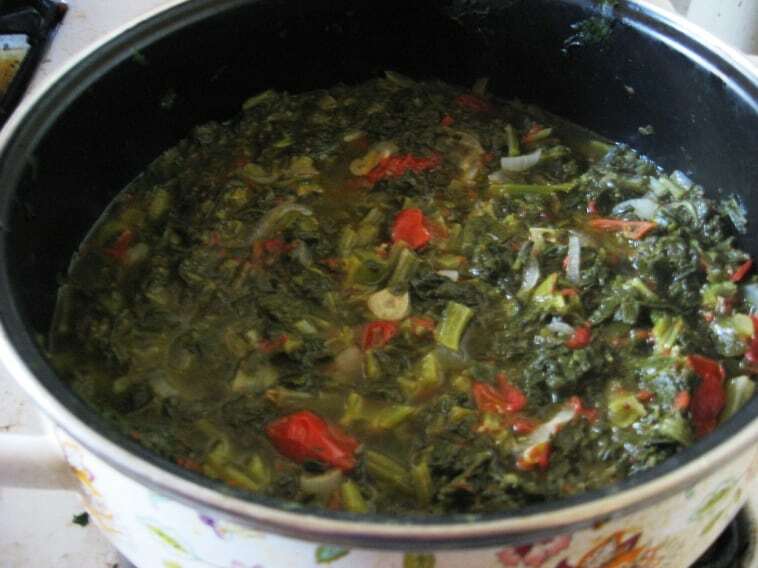 Supakanja is a Gambian vegetable soup. The main ingredient used in this soup is okra. It is a delicious soup which is cooked as most west African soups; including spices, bouillon cubes, palm oil, and other local ingredients. Supakanja is best served with rice or fufu. It is also suitable for Pescatarians. Pepper soup is another hot and spicy delicious Gambian food that is popular in West Africa. The sauce gets its flavor from the animal protein added to it– fish, seafood, mutton, chicken or goat meat. Pepper soup can be eaten alone or with rice. Lovers of cassava and beans would surely know about the Nyambeh dish. Different oils are combined to make this dish which is a mixture of cassava, soup stock, onion and condiments like salt, pepper, chili, and fried snapper. 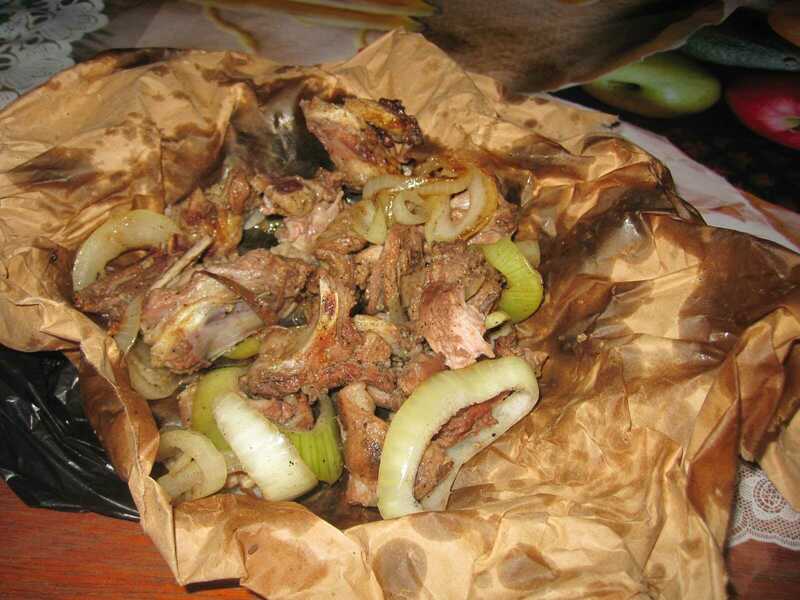 Nyambeh is widely consumed in rural areas and also urban areas. While Yassa is made with Chicken, Caldo has almost the same recipe but with fish. Making Caldo is also faster than making Benachin since fish cooks faster. The lemon flavor added to this fish dish is what really distinguishes it from Caldo and also makes it really tasty.